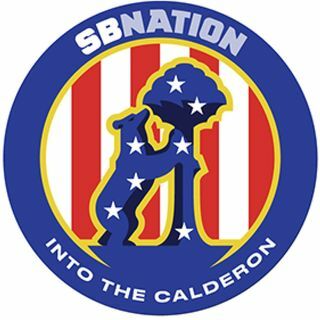 Rob Walker (@rwalk03) is a staff writer at Into the Calderón and the guest on this edition of Colchonero Chat. He makes his Monday appearance to discuss divided loyalties, but more importantly, to wax lyrical about Atlético Madrid’s 1-0 win over Deportivo La Coruña on Sunday night. Rob and Into the Calderón manager Jeremy Beren (@JBBeren) examine how a depleted Atlético held off a decent Deportivo at A Stadium Called Wanda as they continued their bid for an unbeaten first season at the new ... See More ground. The podders work through whether Kévin Gameiro’s penalty should have even been one, Carlos Isaac’s debut at right back, Lucas Hernández’s heroics and how Diego Simeone used his substitutes expertly. They also analyze Gabi’s post-match comments and touch on Atleti’s latest badge controversy. The guys then preview Thursday night’s Europa League quarterfinal first leg against a solid Sporting Clube de Portugal. Atlético will have Vitolo and Antoine Griezmann back, but Rob and Jeremy wonder just how many of the walking wounded will be available to Simeone — particularly with the Madrid Derby looming next weekend.